In an effort to maintain anonymity for this couple (who doesn't have any local family and did give me permission to post this) I am going to keep my writing brief. What I want to say is that I am really honored to have spent one meaningful hour with these two and to have been their witness in marriage. In the brief time we were together it was abundantly clear to me that these two are deeply in love and a perfect match for each other. I also want to thank Schenectady Mayor, Gary McCarthy, for performing this sweet wedding ceremony and being very gracious and kind to not only my clients but myself as well. 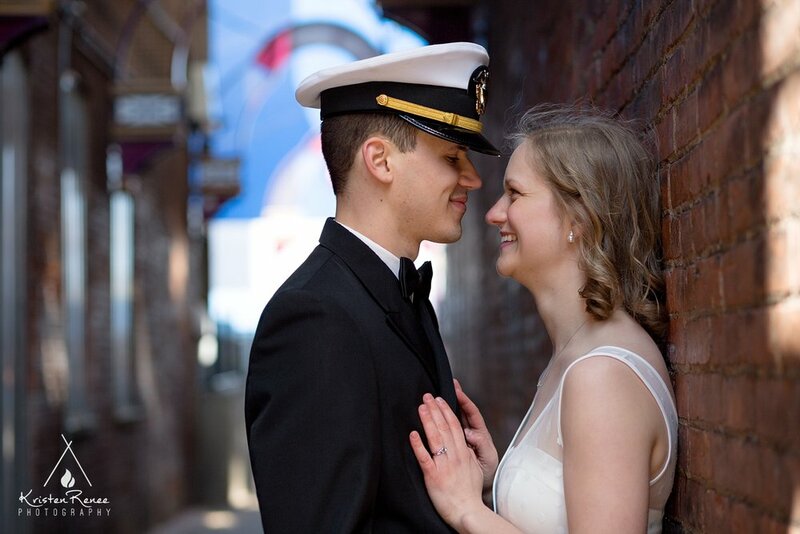 We were given permission to use City Hall for portraits and I am very grateful that my couple's elopement was treated with the respect and love that they deserve from every person we encountered in that building. See more 2017 weddings by Kristen Renee! See more weddings in Schenectady! See more elopements!